YouTubeYouTube star Michelle Phan has shared her tips for social media success. Good morning. The weekend is almost upon us, but before we get there, here’s your chance to read up on the most important advertising stories today. 1. These are the top 25 universities to go to in the UK if you want a job in marketing. The London School of Economics tops the list, according to LinkedIn’s rankings. 2. Mike Myers is the star of a silly ad campaign for Sears. He features in the commercial alongside his brother who has worked at the store for more than 30 years. 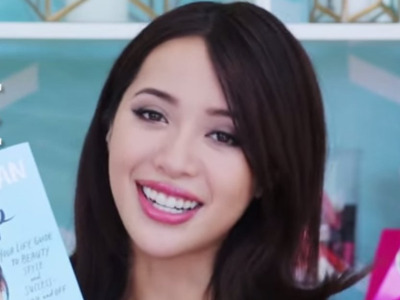 YouTube superstar Michelle Phan has shared her tips for building a social media brand. She advises people to choose a platform with a strong community, claim your name and keep consistent, create content that’s fresh, make a schedule and engage with your followers. 4. These mysterious Craigslist “Missing Connections” posts were actually ads for luxury crystal brand Swarovski. The brand hoped the low-key marketing approach would help dispel the myth that Swarovski jewelry is only for “red carpet moments” and other special occasions. High profile marketer Amanda Mackenzie, the CMO of insurance firm Aviva is taking a two year secondment to work with film director Richard Curtis on a UN development project, Marketing Magazine reports. Mackenzie will work with Curtis on a global education program and will be responsible for developing a global marketing campaign to drive public awareness. 7. Viacom has become the latest media company to suffer from the soft ad market, AdAge reports. The MTV and Comedy Central owner said ad sales declined in the US during its most recent quarter, partly because traditional ratings are failing to account for the new ways viewers consume content. 8. Adweek digs into why tech brands are suddenly “in love” with billboard and subway ads. Companies including Facebook, Foursquare and Box have all recently jumped on the trend towards old-school ads. 9. Facebook has updated the look of its terms and privacy policies, the company announced in a blog post. Not much has changed policy-wise (bar the inclusion of more information about payments and location targeting) but the redesign is aimed at getting users to understand and control the types of ads they see. 10. Web browser and software developer Mozilla has cut its first deal with major advertisers, MediaPost reports. Group M’s Mindshare unit, its client CVS health, travel site Booking.com and The Weinstein Co. are all testing Mozilla’s first ad format, “Tiles,” which appear on the Firefox browser home screen.